Greater Philadelphia Bicycle News: Construction of Locust and Race Street Crossings Begins: Patience Please! Construction of Locust and Race Street Crossings Begins: Patience Please! 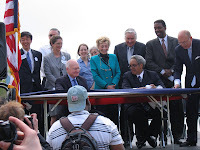 It's been four years since former Mayor John Street signed a settlement agreement with CSX that allowed for Race and Locust Street crossings to remain open to cyclists and pedestrians in addition to the City committing to building a connector bridge between Schuylkill River Park and the Schuylkill River Park Trail (Schuylkill Banks.) 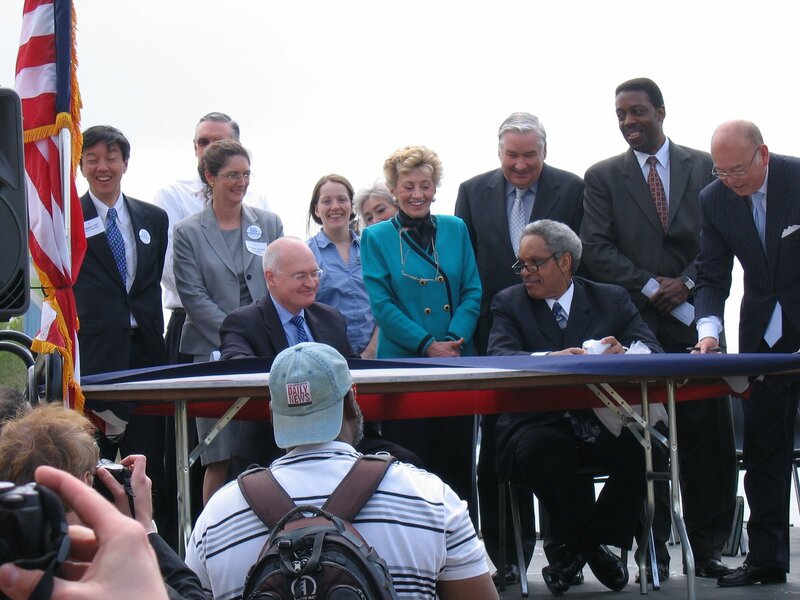 This settlement agreement was the victory of the Free Schuylkill River Park campaign, which channeled the voices of many park users who insisted that CSX and the City find a solution so that they could continue to have street level access to the park. 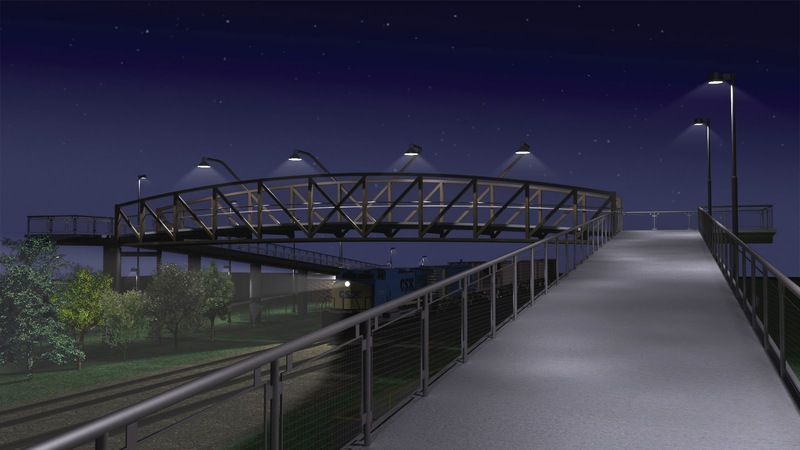 CSX and the City will both construct the crossings with permanent crossing surfaces, automatic gating, fencing and lights. The first step has begun. 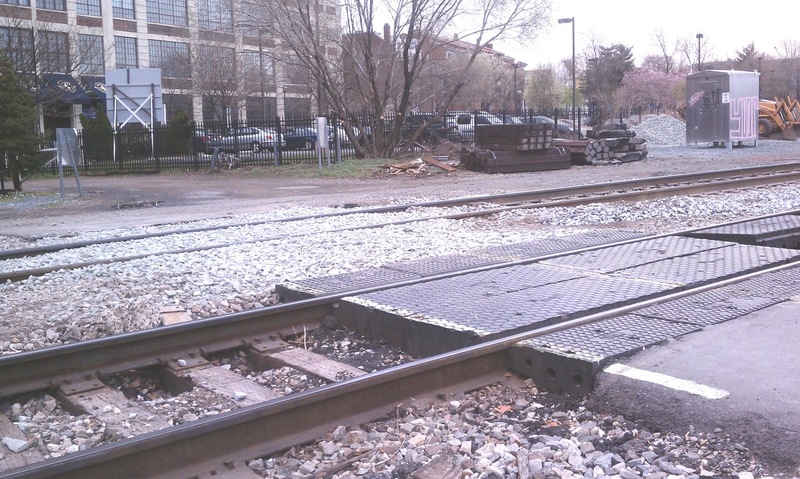 CSX began to lay stone under the tracks and remove the rubber crossings. They will install lumber and asphalt around April 13th, perhaps earlier. It will take a few days to complete and may require closure of each crossing for a couple of days (although not simultaneously). At its conclusion, permanent crossings will in place; two at Locust Street and one at Race Street. Later this month, we anticipate that the Streets Department's contractor will begin to install the automatic gates and fencing. This phase of work may also result in some crossing closures, perhaps as long as a week at a time. Please be patient and courteous when the crossings are temporarily closed. At the end of this construction period, the Park will have much safer crossings. The automated gates and fencing will permit park users to cross the tracks when no train is approaching or parked. If trains are parked near, but not on the crossings, gates will reopen to permit crossing the tracks until the train moves again. The second part of the Settlement Agreement, the Connector Bridge, is one of seven projects being funded by the TIGER grant won by the City in February 2010. It is going through final review at PennDOT and should start construction in the coming months later this summer or fall. Any idea when construction will begin on the Schuykill Park to South Street Bridge SRT alignment? I thought this was approved a long time ago using TIP money. The design for that section of trail is undergoing final review by PennDOT and the Federal Highway Administration. It should be advertised in the next few months, then construction will begin.